May I have occasionally mentioned that I am a big lover of sour fruits? 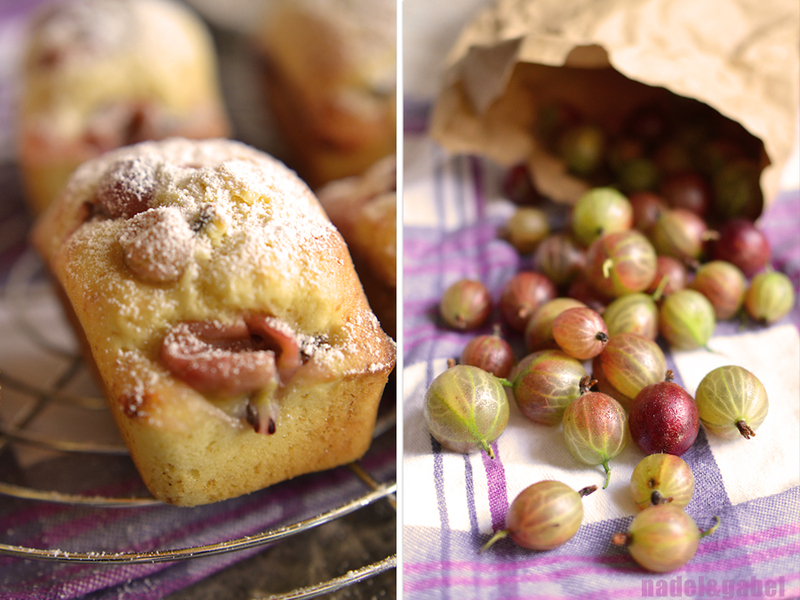 Red currants, blackberries, rhubarb, sea buckthorn, … love them all! Here’s another round celebrating my stars. I came across gooseberries on the market and couldn’t remember when I had tasted their sour-sweet flavour that pops in your mouth the last time… It must have been when I was a teenager. We had two or three bushes in our garden – beneath raspberries, blackberries, currants – and we were very busy each summer to handle all those berries who always were ripe at the same time. But no stress nowadays! 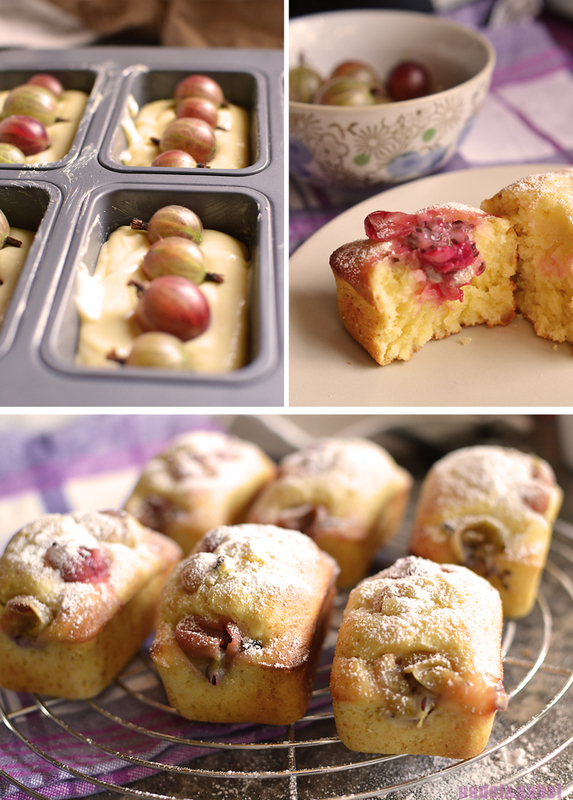 But instead a simple pound cake with fresh sour cream which gives the cake its moisture, a bit of lemon zest and the fluffyness of two eggs – all of this baked in small loaf baking forms. 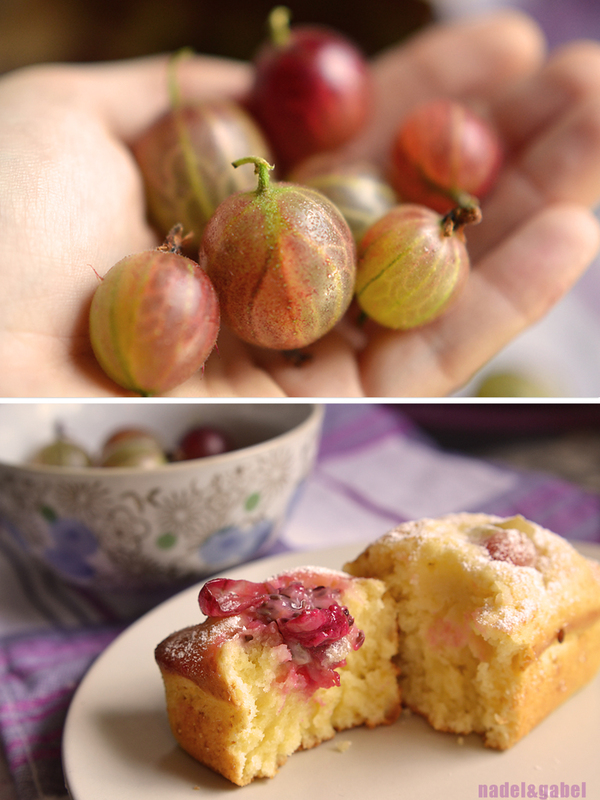 The real stars of this cake are of course the gooseberries – sunk into the batter – that give the cake not only those beautiful colour accents but also its sweet-sour fruitiness. Feel free to enjoy it not only dusted with icing sugar but with some additional whipped cream or ice cream. In big bowl whisk eggs and sugar until light and fluffy. Stir in sour cream. Finally add flour, baking powder and lemon zest. When everything is well combined, fill into one round baking pan (20 cm diameter) layed out with baking paper or into 6 small square ones. 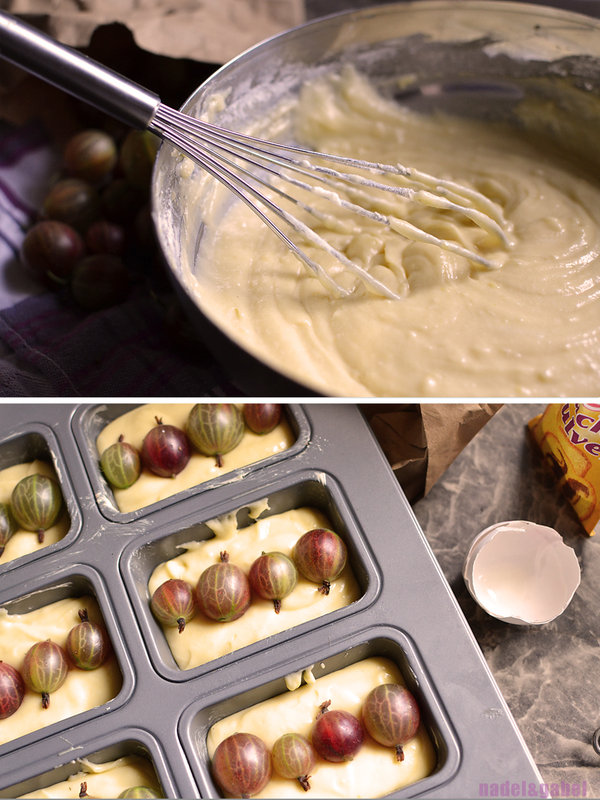 Wash gooseberries and assemble on batter. Depending on what form you’ve chosen baking time will vary: bake for about 45 minutes at 180°C or about 20 minutes, until the cakes are golden on top. Remove from the oven and allow to cool in the tin. Dust with icing sugar and enjoy. 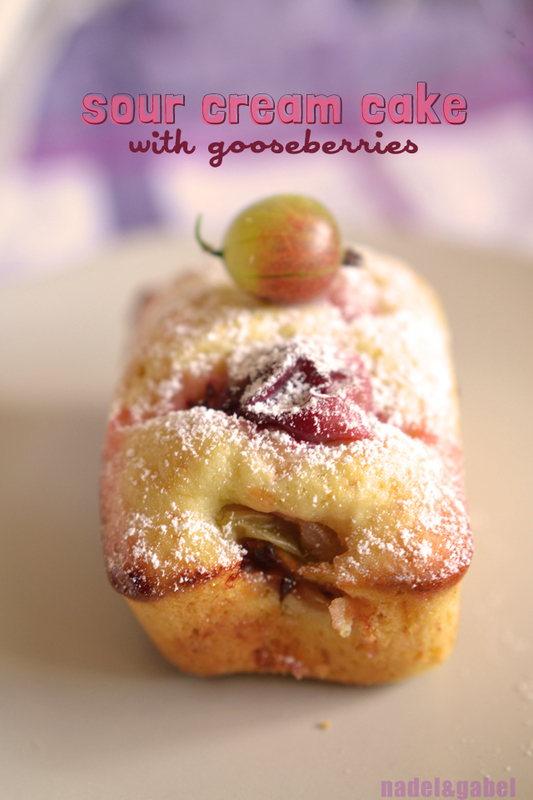 I love everything with gooseberries! Don’t know why they don’t have it in California farmers markets (or at least in the ones I go to), but if they did – this cake would have been high on my “to do” list!